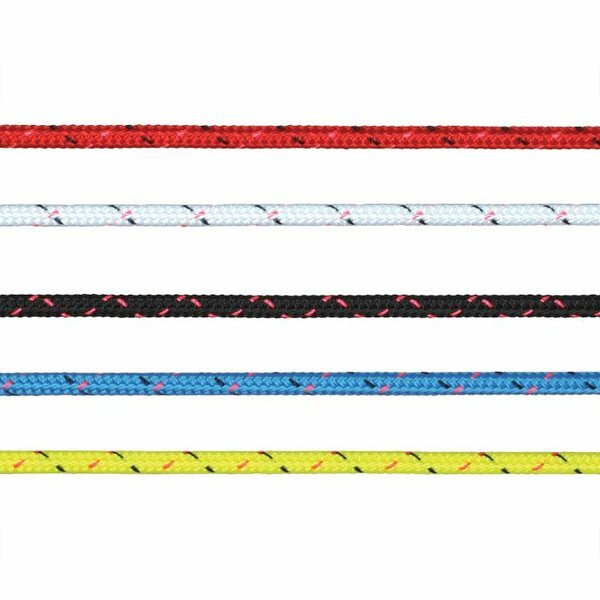 Low stretch, 100% Polyester rope offers great cost effective performance. Brightly colored cover for easy identification, which runs well through sheaths and blocks and sheaves. Good range of colors for multiple applications. The twisted long lay core provides a low stretch , whilst the hard wearing cover offers great abrasion resistance. Many uses across most Melges classes. Including specific uses for C Scow Cunningham, C Scow Vang, C Scow main halyard rope, C Scow Outhaul, MC Outhaul, MC Cunningham, MC Vang, Melges 24 Backstay Control, Melges 24 Traveler, Melges 24 Pole Out Line, and more.